Kath Hulse is Research Professor in Housing Studies and Director of the Centre for Urban Transitions at Swinburne University of Technology. Her primary research interest is in the restructuring of social policies in the context of economic, social, political and cultural change. Kath has a particualar interest in housing processes and social change in Australia and internationally. She has led and contributed to many research projects and has obtained many national competitive grants. Kath is an experienced supervisor of postgraduate students. 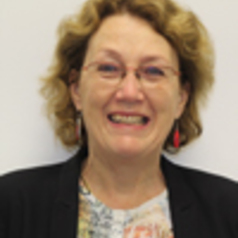 She was the academic leader of annual symposia for PhD students in the AHURI network of universities (2003-2013) and was Director of the Swinburne-Monash Research Centre of AHURI (2004-09). She was a Director of not for profit housing organisations (2001-2012). Prior to her academic career, she also had extensive, high level experience in policy development, research and program management in government.